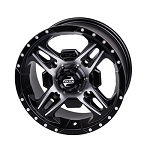 - Atv wheels are sold individually. 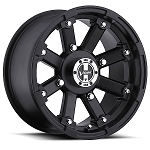 - In most cases our ITP ATV wheels ship out same day! - Strong, light and distinctively different. - Built using ITP's exclusive Advancecast process to exacting QS 9000 quality specifications. 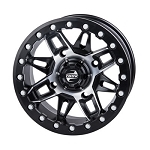 - Heavy duty 14 inch Atv wheel rated at 800 pounds. 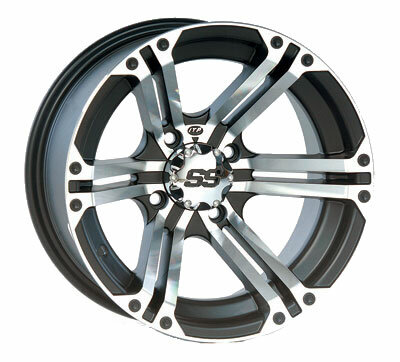 - Custom SS Wheel cap and lug nuts are included with all SS Alloy wheels. - Lifetime structural manufacturer warranty! If you bend or break it, Itp will replace it. The rims are aluminum they don't hold up that well they look good only problem was I asked him to watch the direction in which it was mounted of course they put it on backwards cost me $22 I have It reversed I made it very clear which way I wanted at Mount it yet my wishes were ignored. I have ITP rims wrapped around my Honda Big Red MUV. A friend managed to slam into a rock cracking and bending the inside race of the rim. I wasn't happy. When I looked at the description for the rim on Pureoffroad I read that there is a lifetime guarantee for the rims from ITP. That is not joke, my replacement rim is on its way and now I will have a full size spare for the front my of MUV. Pureoffroad shipped this rim quickly and I got my MUV back in the woods quickly. Sharp looking wheels for sure. Fast shipping, got to my house in 3 days. Got these wheels with some 30" zillas. They look great! The price,service,and quality was great! Very good quality rim. the price is reasonable and the shipping was very quick. I bought these for my Arctic Cat Prowler, they look sweet! Great product and great service!! Q: how do I figure out the offset? 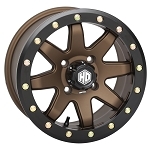 Q: DOES THIS RIM FIT POLARIS GENERAL REAR TIRE SIZE 27X11 14R ? A: Yes it does. We have these in stock for your machine. Let us know! 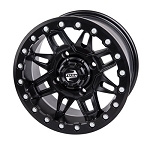 Q: Do you have 14 inch front wheels that will fit a 2006 Kawasaki Brute Force SRA? A: No we don't have any 14 inch wheels for an SRA Brute Force. We could make some work with some wheel spacers though if you want to go that route let us know.